Small problems left unaddressed can turn into big issues. 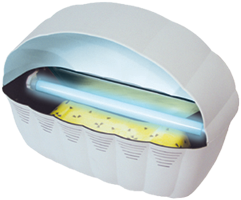 Aire-Master sees to the details that are easy to overlook — things like screens to prevent clogged urinal drains, floor mats to catch drips and prevent stains, and UV light traps to control flies. Contact your service representative to learn how Aire-Master can help you deal with the little things before they become big things. 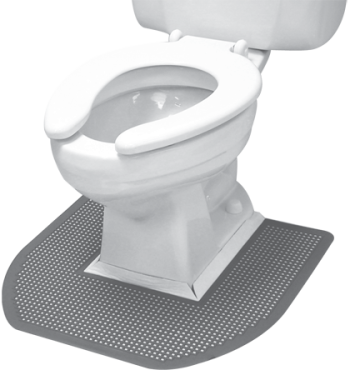 Urinal screen & shields, blue-water toilet cleaners, floor mats, and other accessories help keep your restrooms clean and odor free. Aire-Master will replace each item on a regular schedule (usually every 2–4 weeks depending on restroom traffic). 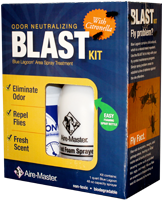 Aire-Master can help make your fly problem manageable. We use a combination of safe, effective insect control products to establish a line of defense against the vile offenders. 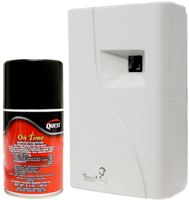 We’ll make sure your dispensers or UV lights are in good working order by replacing cartridges, cans and batteries as needed. We have been happy with Aire-Master in all services they provide for us. After using many jack of all trades as service providers, Aire-Master is a cut above the rest and the quality is superior to any of our previous supplier's product. We were having some issues with our men's restroom and Aire-Master made the suggestion that we try a urinal mat. We did and everyone is very pleased with that service. We look forward to their visits and enjoy the products they bring us!